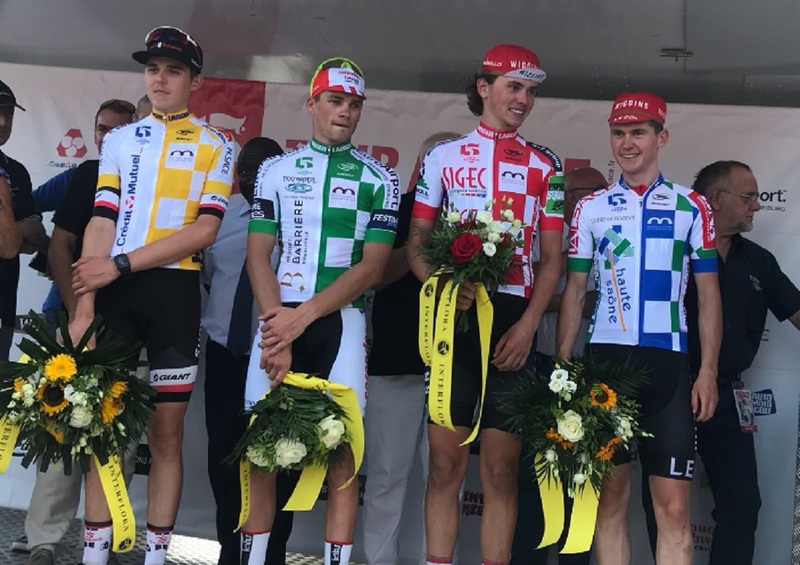 Both Michael O’Loughlin and Matthew Teggart have shown excellent form in the opening stages of the Tour Alsace (2.2) in France this week with both Irish riders now wearing classification jerseys following stage two of the five-day race. Teggart came close to victory on yesterday’s opening 147.5-kilometre road stage from Champ de Feu to Sélestat. The Banbridge rider was just edged into second place in the sprint finish by David van der Poel (Corendon-Circus). His result was all the more impressive considering he had spent much of the day in the main breakaway. 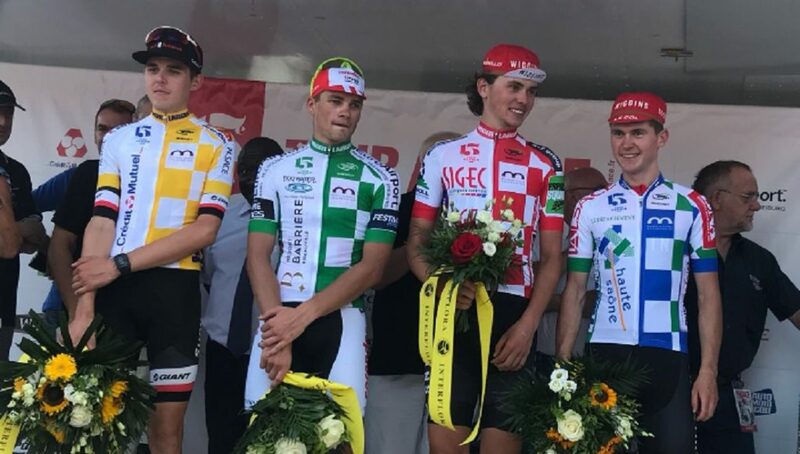 En route to Sélestat, Teggart won the prime at kilometre-70, which resulted him in taking the KM70 jersey which he held onto after today’s stage. On today’s 143.1-kilometre second stage from Vesoul to the summit finish of La Planche des Belles Filles, Teggart’s Team Wiggins team-mate Michael O’Loughlin made it into the main break of the day. 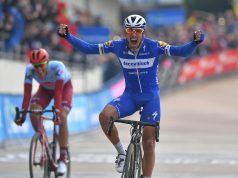 He had initially gone clear with Louis Louvet (SCO Dijon-Team Materiel-velo.com) and after they were brought back, he attacked with Filip Maciejuk (Leopard Pro Cycling), Matthew Bostock (Great Britain) and Jonas Rutsch (Germany). Their lead reached three minutes at one stage, but they were brought back with ten kilometres remaining. Along the way, O’Loughlin won three of the KOM primes, meaning he would take over the lead in the mountains classification. 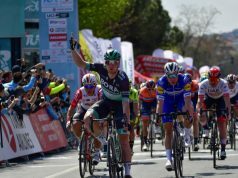 Geoffrey Bouchard (Cr4C Roanne) went on to win the stage, ahead of Marc Hirschi (Development Team Sunweb) and Brandon McNulty (United States). Teggart finished in 25th place and now sits in 12th place overall, 1’10” behind race leader Florian Stork (Development Team Sunweb). O’Loughlin is in 105th position overall. The race continues tomorrow with a 165.3-kilometre stage from Ribeauvillé to Station du Lac Blac.